MANILA - As Asean chairman next year, Singapore will seek to ensure the grouping promotes and upholds a rules-based regional order. This is so Asean can better deal with emerging security challenges in its neighbourhood such cyber security, transnational crime and terrorism. It will also steer the grouping to press on with regional economic integration and boost regional connectivity, to keep Asean competitive and prosperous. And it will find innovative ways to manage and make use of digital technologies, so Asean's people can gain skills. PM Lee outlined these three key priorities at the closing ceremony of the 31st Asean Summit on Tuesday (Nov 14), the last major event on Asean's calendar this year. He was handed a ceremonial gavel by Philippine President Rodrigo Duterte, symbolising the Philippines passing the baton to Singapore to lead Asean next year. 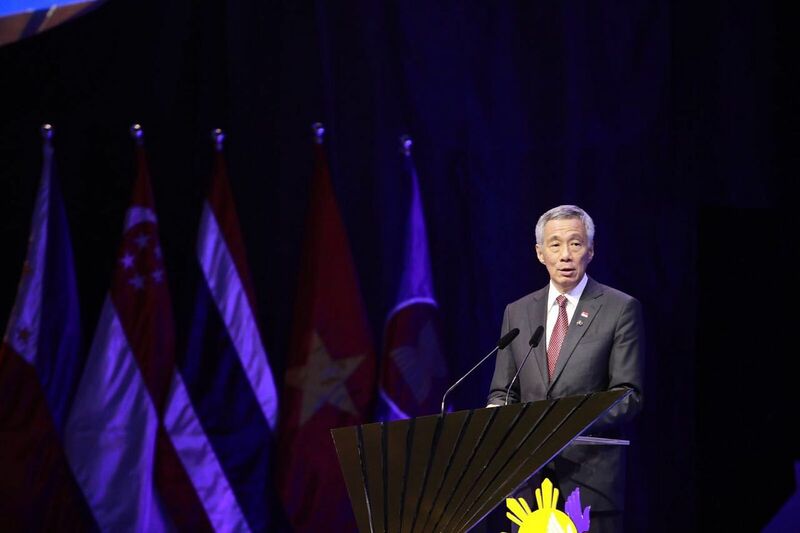 PM Lee said that Singapore will also continue to build relations with Asean's external partners. In the coming year, Asean will hold special summits in Australia and India. It will also celebrate 45 years of relations with Japan, and the 25th anniversary of the Asean Regional Forum. Singapore will also continue to promote closer cooperation between Asean and China, as country coordinator for Asean-China dialogue relations. This includes programmes to commemorate the 15th anniversary of the Asean-China Strategic Partnership next year. Singapore will also continue to enhance cooperation with other regional and global leaders at Asean-led platforms such as the Asean Plus One, Asean Plus Three, Asean Regional Forum, Asean Defence Ministers' Meeting-Plus and the East Asia Summit. PM Lee congratulated the Philippines for its successful chairmanship over the past year, highlights of which included the finalisation of a framework for the Code of Conduct of Parties in the South China Sea. An Asean-Hong Kong free trade deal was also inked, and an Asean Consensus on the Protection and Promotion of the Rights of Migrant Workers adopted during the summit. PM Lee also thanked outgoing Asean's secretary-general Le Luong Minh, whose five-year term is ending, and the Asean secretariat's staff for their dedication and support of the grouping's agenda. And he welcomed the incoming secretary-general Lim Jock Hoi, who is currently Brunei's permanent secretary for foreign affairs and trade. "Singapore looks forward to working closely with you and with the Secretariat to strengthen Asean's community-building efforts," PM Lee said.